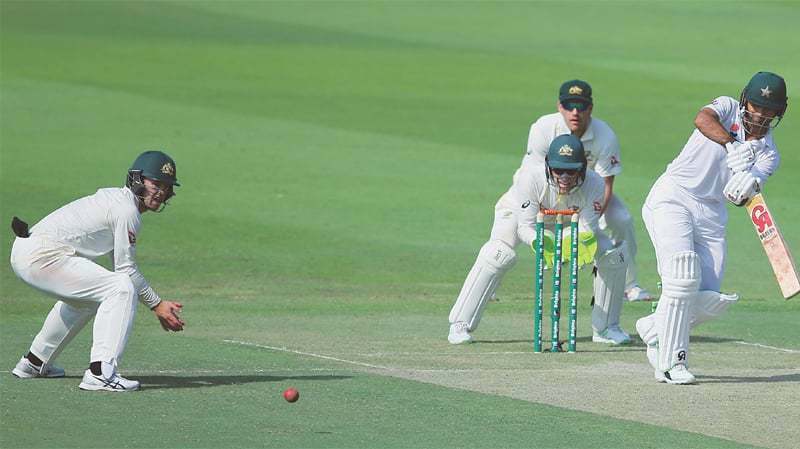 On day three of the second Test between Pakistan and Australia in Abu Dhabi, Pakistan middle-order batsman Azhar Ali was dismissed in a weird fashion that needs to be seen to be believed. "It was one of those things where neither Asad or I had a sight of it. even when the throw was coming back I thought he's just thrown it after the ball hit the (boundary)". In the aftermath of the incident, there have been many who've said that this is quite certainly the most freakish run-out they'd ever witnessed, one which everyone would have to see to believe. Thinking that the ball has reached the boundary and he has smashed a four, Azhar Ali started chit-chatting in the middle of the pitch with his partner Asad Shafiq. Not knowing what had happened, the batsman stood in the middle of the pitch confused for some time before registering what had happened and walked off. 'I don't know how to describe it. Mark Waugh said the run-out was in the grand final for the worst dismissal ever. "As a young kid, my coach always told me you've got to run hard until it goes over that rope", Siddle laughed. Having made seven and a duck in his two innings during last week's first Test against Pakistan in Dubai, Marsh edged to first slip on three, one of five wickets to fall before lunch as Pakistani seamer Mohammad Abbas continued to run through the Australian top order. Wellington wicketkeeper Lachie Johns nonchalantly took off the bails as both batsmen were on the ground.